One of the most beautiful seaside towns in France if not in Europe, Biarritz has been an upmarket holiday destination for nearly 200 years, but more so since 1854, when Napoleon III had a summer palace built for his wife Empress Eugenie (now the Hôtel du Palais). Thereafter, a stream of European royalty, politicians and the rich and famous flocked to Biarritz, giving the town a glamorous reputation that only a few other places in the world have enjoyed. Nowadays, Biarritz is an elegant town, offering a beautiful seafront and wide promenade, along with some great shops, bars and restaurants. And today, you do not need a royal entourage to get there, with daily direct flights from Stansted with budget airline Ryanair. Biarritz also has the closest international airport to the food Mecca of San Sebastián in Spain, around 40 minutes away by car, where we headed for the second part of this trip (to be featured soon). Built as a summer residence by Napoleon III for his Spanish wife Eugenie in 1854, the palace was sold and re-opened as Hôtel du Palais in 1893. The first guests were the royal families of many countries in Europe like the Prince of Wales (later Edward VII) as well as some of the most prominent people of their times including Sarah Bernhardt and Omar Sharif. One of the most historic spots in town, Edward VII took an annual holiday at the hotel for a number of years, as did his son Edward VIII with Wallis Simpson, before and after his abdication. Today, Hôtel du Palais is a Belmond associate hotel as well as a member of the coveted Leading Hotels of the World Collection, which include the most iconic hotels around the world. The hotel overlooks the Atlantic Ocean, at the end of the Grande Plage, Biarritz' main beach, and is an opulent building, visible from all over town. It has 120 rooms and 30 junior, royal and imperial suites, decorated in the style of the Belle Époque, a most impressive foyer, a bar and three restaurants. Close to the lobby, the glamorous Imperial Bar is Biarritz’ favoured place for cocktails for locals and guests alike. We enjoyed some lovely drinks and aperitifs there one afternoon, and it is a great place for people watching and to soak up the wonderful atmosphere of the hotel. The main restaurant, La Rotonde, had huge plate glass windows overlooking the ocean, offering the most beautiful views, and was where breakfast, lunch and dinner were taken. For a fine-dining experience, there was the one Michelin-starred Villa Eugenie restaurant. Next to the open air, heated salt-water pool was the informal Hippocampe restaurant, open only during the summer for informal buffet lunches. We stayed in one of the hotel's sea-front Royal suites, the magnificent Sarah Bernhardt. Part of the original palace, the sumptuous and spacious living room had commanding views over the Grande Plage and its promenade, as well as the town centre. With a classic French design, as well as opulent Louis XV furniture, crystal chandeliers, velvet drapes, antique mirrors and original artwork, the suite was one of the most elegant and luxurious I have stayed at. The bedroom had a terrifically comfortable king-sized bed with silk drapes, a huge plasma screen TV, as well as original oil paintings and led to a magnificent marble covered, spacious bathroom, with separate bath and shower. The hotel added a well-equipped five-floor spa in 2006, with a large indoor swimming pool, jacuzzi, sauna and gym. There was also a Guerlain beauty parlour for a range of spa treatments and massages as well as a hair-salon. The extensive grounds of the hotel included a small golf course, a children’s playground area, a gorgeous outdoor heated swimming pool and a private entrance to the promenade. Breakfast at Hôtel du Palais, served at la Rotonde Restaurant, was probably one of the best meals of the day – there were various tables containing an assortment of local items including hams, cheeses, freshly cut fruit and juices. Of note was an entire table dedicated to local cakes, tarts and pastries including my favourite gateau Basque au cerise which I could not get enough of. The hot buffet was also excellent, even the scrambled eggs were consistently creamy which is quite an achievement when catering on this scale, I enjoyed a “Full Biarritz” both the mornings I was at the hotel. Possibly one of the most iconic hotels I have stayed in, Hôtel du Palais is the top hotel in Biarritz, and I cannot think of a better place to stay to soak up some of the history and glamour of this wonderful French seaside town. 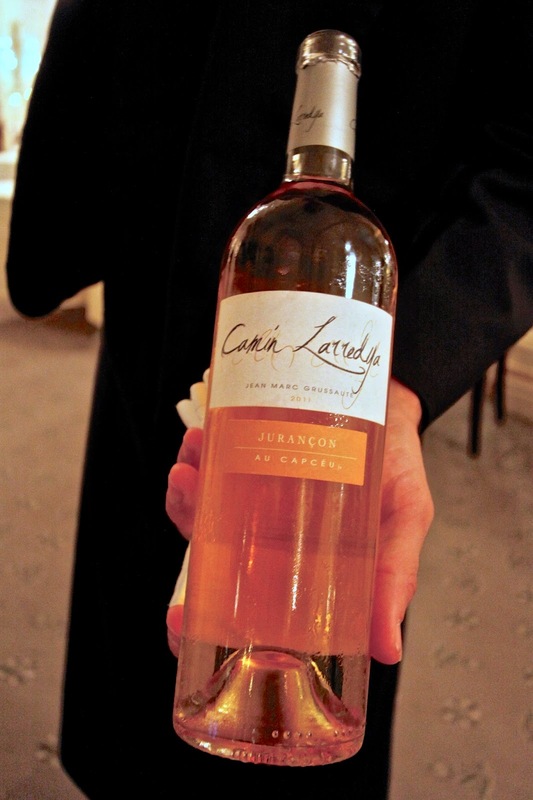 The Hotel's fine-dining, one Michelin-starred restaurant is La Villa Eugenie, run by Head Chef Jean-Marie Gauthier, who has been at the hotel since 1991. On the evening of our visit, there was a private dinner occurring at La Villa Eugenie, and so we ordered the restaurant's tasting menu (Menu de l'Imperatrice, €135 per person) served in the hotel's sea-front restaurant La Rotonde. After a glass of Larmandier-Bernier Champagne (€20 per glass), and a couple of amuse bouche including some ethereally light allumettes of Parmesan, and creamy mussel and pumpkin veloute, we were served our first course – foie gras. The duck foie gras from Landes was poached in Sangria, and served with fresh fig, desiccated fig and fig chutney. Beautifully presented with little squares of Sangria jelly and cracked black pepper, the foie gras was light and creamy and served with toasted brioche. 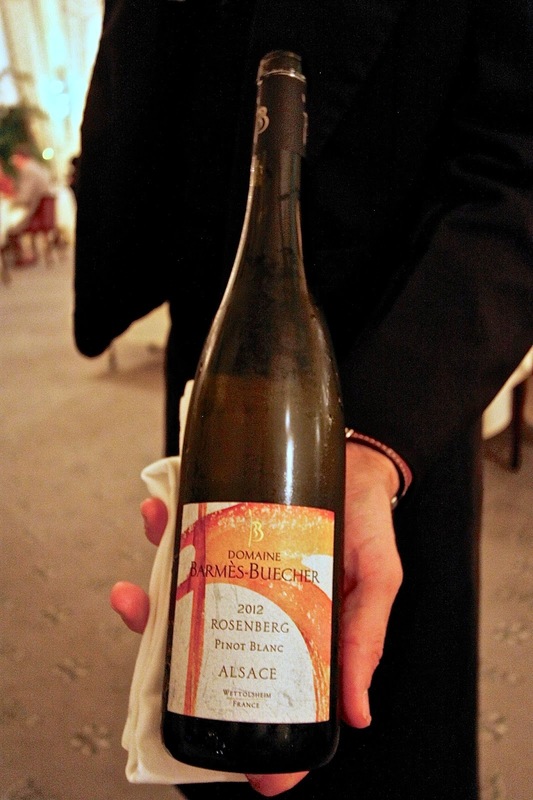 With it, we had a glass of Pinot Blanc from Alsace, Domain Barmes Buecher 2012 Rosenberg (€11 per glass) - a lovely off-dry wine with apricot flavours, good minerality and crisp acidity. The fish course was Banka trout with olive oil, a Biscay tomato, onion and piquillo pepper sauce, and an emulsion of sweet green chilli piperade from Anglet, candied vegetables, and ham from local producer Michel Goicoechea. The trout was expertly cooked - still pink in the middle, and tasted delicious with the crispy ham and fried quail egg that accompanied it. 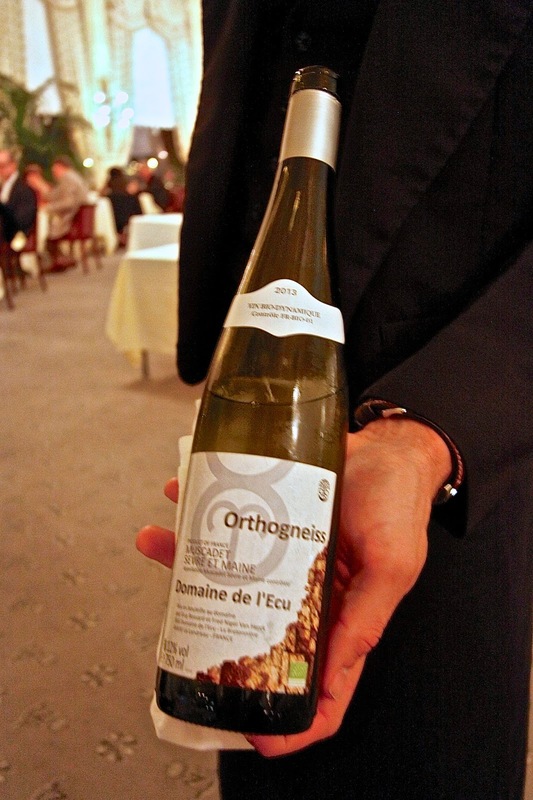 The wine for this course was an Orthogeneiss, from Domaine de l'Ecu, from Muscadet de Sevre en Maine, an organic wine (€11 per glass), made from Melon de Bourgogne grapes. With crisp, clean minerality, I found this was quite austere in contrast to the sweetness of the trout and candied vegetables. The main course was veal sweetbreads, with sautéed butter, coriander, Paris mushrooms and nuts. The sweetbreads were splendid, creamy and delicately beefy in flavour, with delicious crystals of salt to tingle the tongue, and just a hint of ginger. 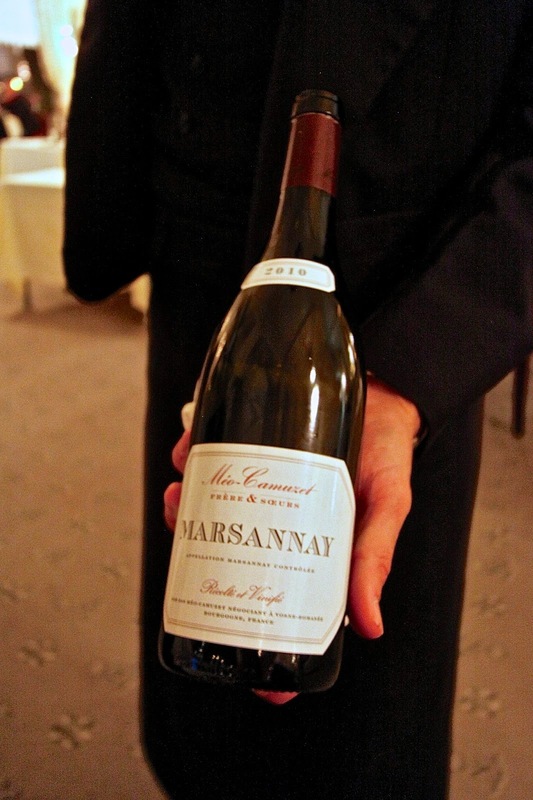 With the veal, we had a 2010 Marsannay, Pinot Noir, from Burgundy (€14 per glass). From brother and sister winemakers Meo-Camuzet, this was light in weight and tannin, but with plenty of red berry fruit flavours. The cheese course came on a barrel-shaped trolley, mostly local but all from France, with cherry jelly. The selection of blue, soft and hard cheeses from cow, goat and sheep were excellent, and served at the peak of their condition. For dessert, we had an apple vacherin, with apple tatin ice cream and honey granita. Creatively presented with sticks of white nougat, ropes of caramel and gold leaf, this was a clever way to present apple in a variety of textures. I enjoyed this with a glass of Jurancon, Camin Larredya from Jean Marc Grucette 2011, made with Petit Manseng and Gros Manseng grapes. Our meal at La Villa Eugenie was excellent, and very well executed. This is a great choice in Biarritz, whether you are a hotel resident or not, and I highly recommend it. A 10 minute walk from the Hôtel du Palais, L'Impertinent is a small restaurant run by Sarah and Fabian Feldmann, and is the only other one-Michelin starred restaurant in town. We opted for the 7 course tasting menu, for €89 per person. This kicked off with a stunning selection of amuse bouche including chickpea croquettes, duck ham with fig and celery, potato foam, smoked anchovy, cucumber and kimchi. Next came steamed squid with green, yellow and red tomatoes, girolles and trompette mushrooms served with a highly intense tomato consommé. To follow, we had smoked eel with fresh julienned apple, quince puree, beetroot leaves and brown millet (a cereal grain). I love eel, and it was a great treat to have it well prepared, outside the context of Japanese cooking. The acidity of the apple against the fish was a great combination. We then had turbot from the nearby fishing port of Ciboure, roasted with coco bean and a quenelle of green peppers, cinnamon and basil with coconut milk, which was sublime. After a palate cleanser of vodka sour, with mint granita, lemon sorbet and vodka meringue, we were on to the main course - squab pigeon of Madame Dibon, roasted on coals with cabbage, kale, beetroot and juniper. It is always such a lovely surprise to have well cooked pigeon, and this was a fine example - beautifully presented, flavoursome and with an excellent jus. 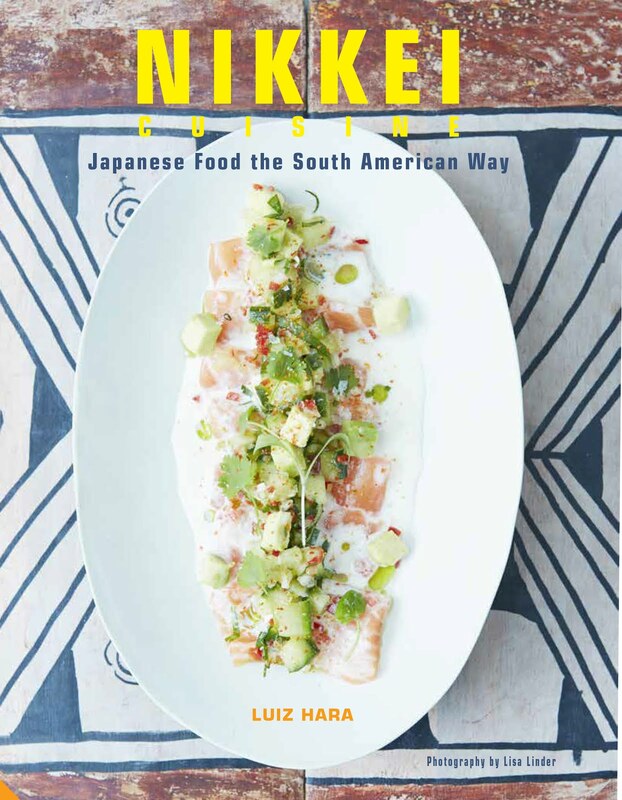 The menu included two desserts – the first was a kiwai (a miniature kiwi), with verbena granita, white chocolate ice cream, butter milk sorbet, avocado cream, and the aromatic herb agastache. This was followed by a chocolate and malt ice cream with Islay Whisky, sweet chestnut sorbet, whisky granita, moscovado crumble, ganache and honey cream. Finally we had a selection of petit fours, including fruit pie with passion fruit and mango, chocolate truffle and saffron, and a Troprezienne brioche with white chocolate. The brioche is a cream-filled number invented in St Tropez, and was superb. The food at L'Impertinent, Biarritz was excellent and at €89 for the seven course tasting menu, it was also good value. I highly recommend it. Chez Albert is a quayside fish restaurant recommended by Helene Darroze as one of her favourite spots in Biarritz. We enjoyed a lovely lunch there on our last day just before leaving for San Sebastian. We started with a tartare de poisson (€16) with sliced tomatoes, Espelette pepper and green salad. The raw fish tasted fresh but was sadly lacking in seasoning. A better choice was Dr G’s langoustines with garlic mayonnaise (€22), which were also very fresh and well cooked. For main, I went for pan-fried hake cooked Spanish style (€22), with crispy Bayonne ham and romesco sauce and served with a creamy mashed potato, which was also excellent. We also had the sole meurniere (€28), a classic dish – simple in conception but one of the trickiest to deliver – Chez Albert’s was faultless. All in all, this was a great lunch in a great location, although prices were on the steep side considering the simplicity of the menu choices. There is plenty to do in and around the Hotel du Palais, as well as in the town of Biarritz. Most people come for the beach, and as well as swimming and sunbathing, there are numerous surf schools able to teach and equip those wanting to surf. Unlike many seaside spots, Biarritz is a fully functioning town that continues to thrive even outside high season, and there are many bars, cafes and shops that are worth exploring. It is also a wonderful place from which to explore the Basque country, as well as being the closest international airport to San Sebastian in nearby Spain. Near the old town, the food market is a great place to wander around, with superb quality fish and seafood, meat, cheeses, charcuterie and bread. 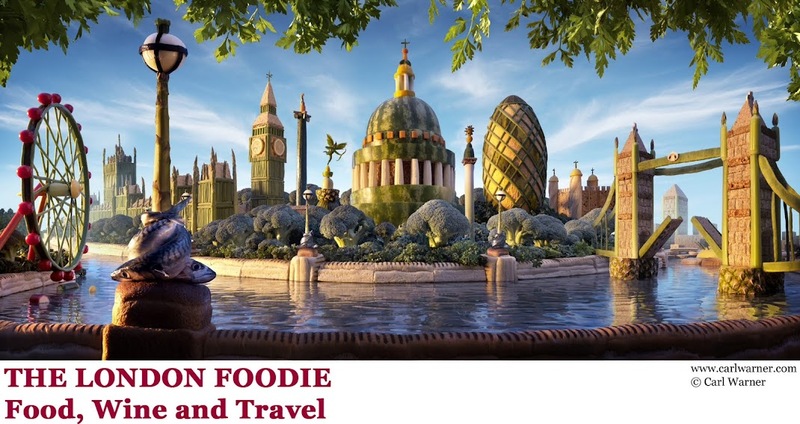 There is a great variety of fruit and vegetables, including fresh truffles and French patisserie. It is an ideal place to buy wonderful produce for a picnic, at very affordable prices, and is a must for any foodie wanting to learn more about the Basque country’s local produce. There is plenty to occupy several days in Biarritz, but if you would like to explore the towns nearby, hiring a car probably makes sense. There are some great foodie things to do in the surrounding French Basque region. Around 15 minutes drive by car, Bayonne is a beautiful medieval town with a gorgeous Cathedral, surrounded by meandering shopping streets, restaurants and cafes. The home town of the famous Bayonne ham, there are many places to try this fine local delicacy. It is worth considering a visit to Pierre Ibaialde, a ham producer who offers free tours and tastings as well as the opportunity to buy direct from a producer. His shop is at 41 Rue des Cordeliers, 64100 Bayonne. www.pierre-ibaialde.com. Espelette chilli peppers are a key part of Basque cuisine, and we went to pay homage to its birthplace. This little town is picture postcard in appearance, and is also the main market town for the surrounding fields that grow the famous peppers. Originally grown from a Mexican clone in the 17th century, the peppers have evolved to be somewhat milder than their Mexican cousins, and are prized for their delicate, fruity flavour in French cooking. There are many shops there that sell Espelette chilli peppers, either in powdered or whole dried form, and it is a great place to stock up for a third of the price you would pay in the UK. The small town of Sare is on the road between Espelette and St Jean de Luz and is a hiker’s paradise with more than 150km of marked hiking routes and caves, most of which were used by smugglers as the town is a mere couple of kilometres from the Spanish border. My reason for visiting Sare was however a much less vigorous one – I was told that the best Gateau Basque were to be found there. And rightly so, the whole town smelled of this heavenly tart the moment we stepped out of our car! Hotel Arraya at the town’s main square has an outdoor stall selling the gateau in different sizes filled with either pastry cream (au crème) or cherry jam (au cerise). These were exceptionally good – the pastry was dense and rich made from flour, ground almonds and plenty of butter and sugar. This tart is so special that it has a museum dedicated to it in Sare – Le Musée du Gâteau Basque (www.legateaubasque.com). Highly recommended. A few miles away from Biarritz, heading south towards the border with Spain is the pretty fishing village of St Jean de Luz, with a magnificent sea front and sandy beaches. Still a working port with fishing nets strewn across the harbour, this is also a lively town with lots of bars and restaurants serving the freshest and most local of fish. There are direct flights with Ryanair from Stansted to Biarritz, and the airport is situated only a couple of miles outside the town centre. Room rates vary from €475 per night for a classic Biarritz view, to €650 for an ocean view double room. Suites are at a range of prices according their size and location, from €860 for a Biarritz view to €1,700 for an Imperial Suite, and the Royal Suites are priced on application. wow what a feast - i would like to use your picture from the market if you dont mind i will link to this post and credit you of course. I am heading there in September as part of the European Yogi Nomads Yoga weekend. cant wait!